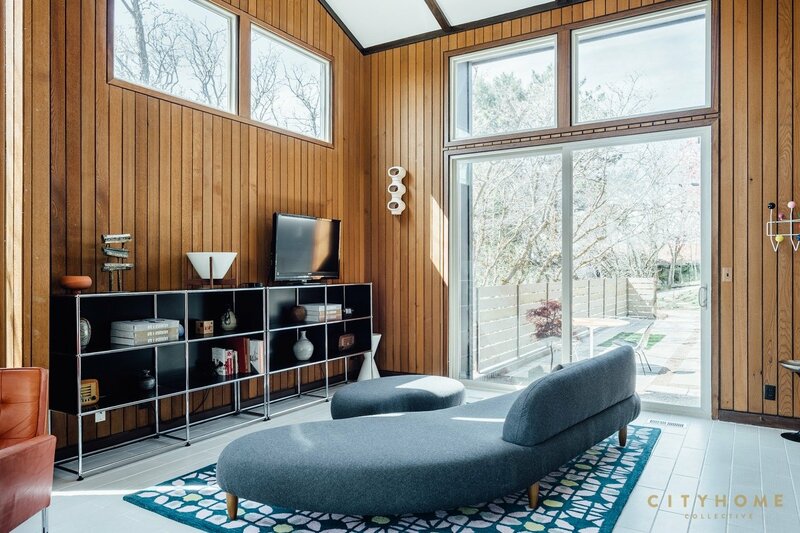 Interviewing mid-century home owners, we often hear how much they love the way the space flows. 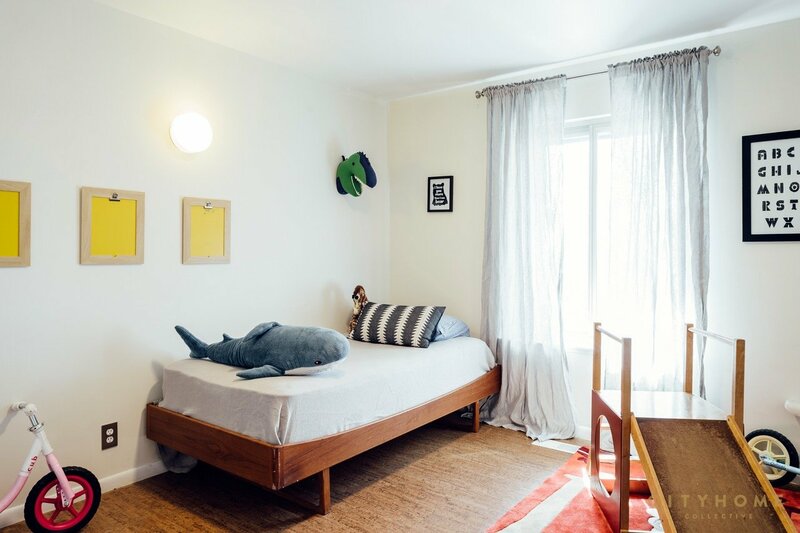 The living can be the perfect play-room for children and/or great to relax looking outside through the big windows. This house in Ogden, Utah, is no exception. 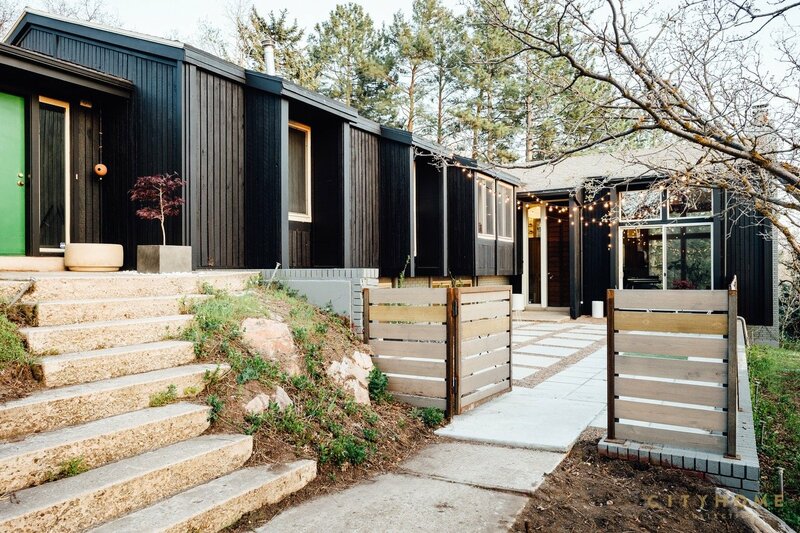 After living in the house for years – and a long, careful renovation – the current owners have decided to move on and sell their beloved mid-century nest. 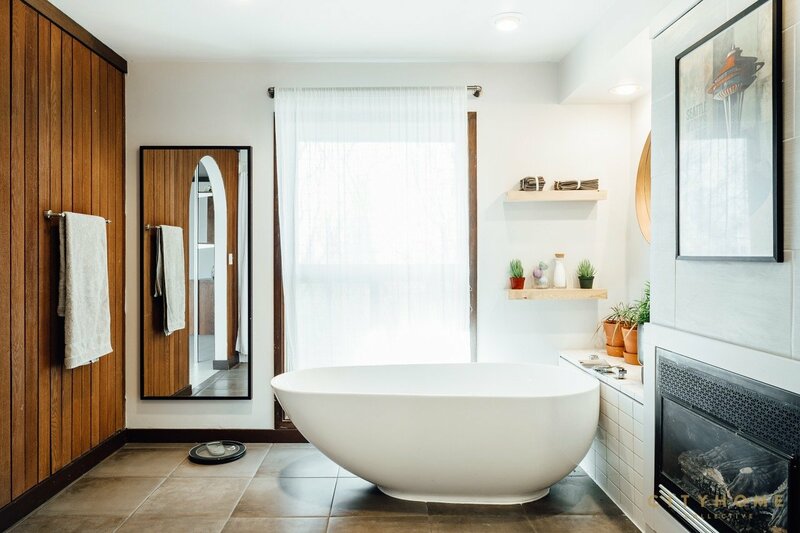 Today, they tell us all about their house and how the love for mid-century (they own Tomorrow’s House, a mid-century design store in Salt Lake City) was actually instrumental to create their family! More info about the property, at the end of the article. My husband has always been interested in mid-century modern furniture – that’s actually how we met. – and I’ve always been curious/fascinated about the modern architectural design of buildings and homes. So, house hunting has always been really fun and exciting for us. 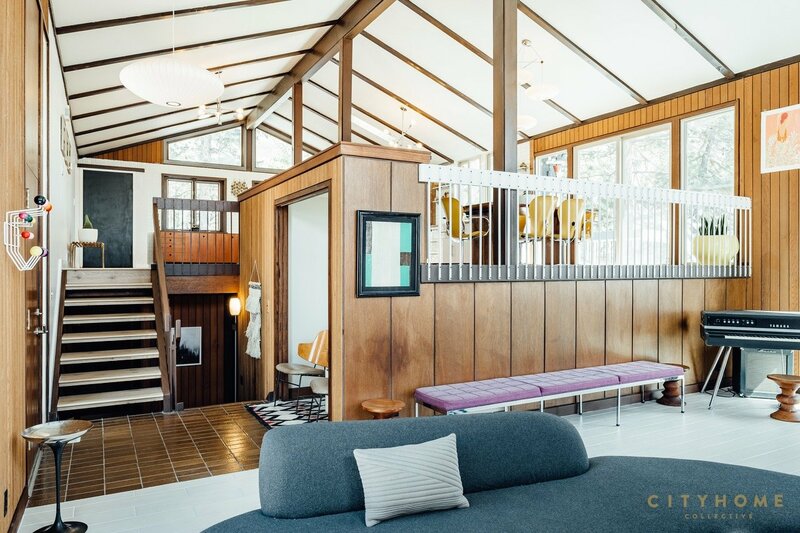 How did you come to live in your house and what drew you to the mid-century style? Our rental lease was up and we had to hustle to know what to do next, it was time to buy our first home. 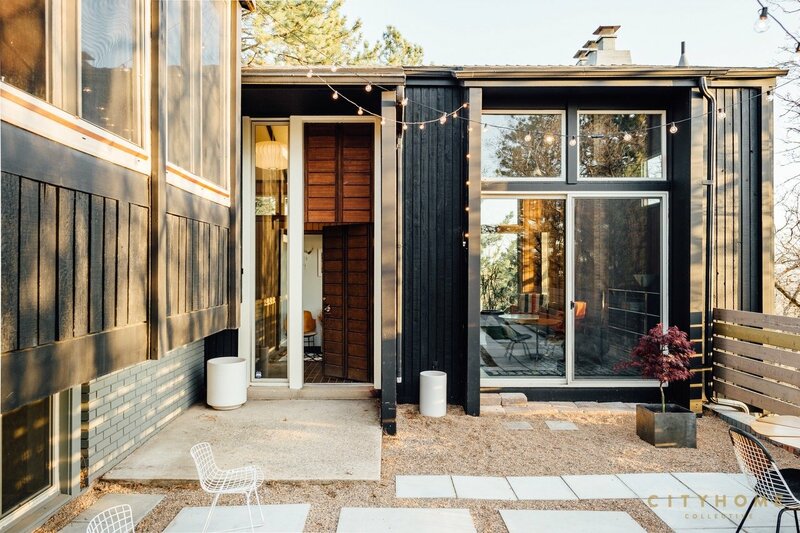 We looked everywhere for a good-boned, minimal fixer upper, but those are gems that you only stumbleupon once in a while. So, when my husband found this house and we saw it in person we could see its immense potential: we immediately jumped on it. We are not 100% certain about this fact but, we have had a few people telling us that it is definitely a Ron Molen design. 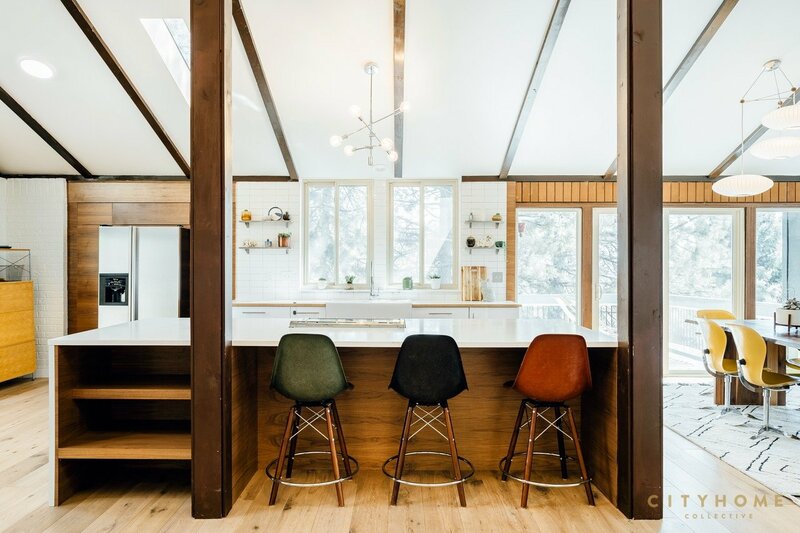 Molen has done extensive work throughout Utah, including Ogden – so it wouldn’t come as much of a surprise, especially since the house falls into much of his design ethos. 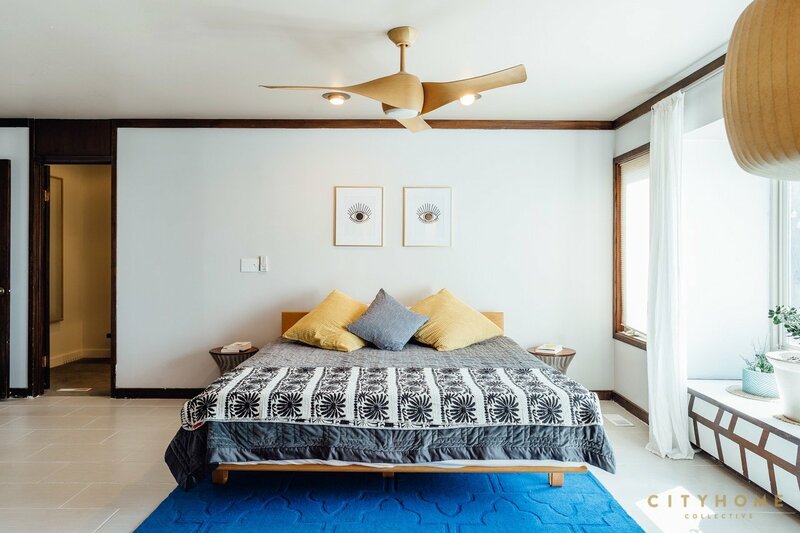 If you look at Molen’s works they often had bright, open, large spaces to gather in, and feel integrated with nature: that’s totally what you get with our house. We have! I don’t think you would believe your eyes if I showed you the before pictures. It’s incredible what new paint, and new flooring can do to a space, but we didn’t stop there. 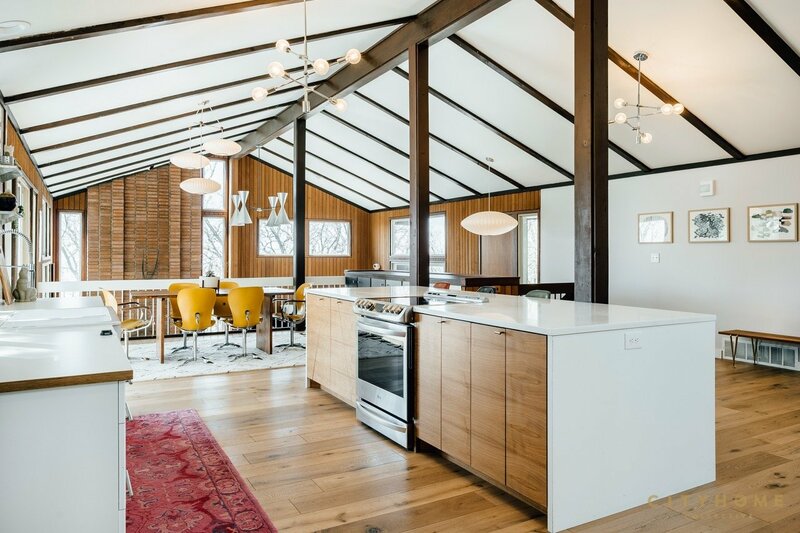 We saw the kitchen and how it extended to the great room as some of the most important spaces in the house. The main obstacle we faced, was a large walled pantry almost at the center of the kitchen, and a wall creating a ‘dining room’. Long story short – we tore down some walls! It was at that point that I could really see my vision becoming real, it felt great. 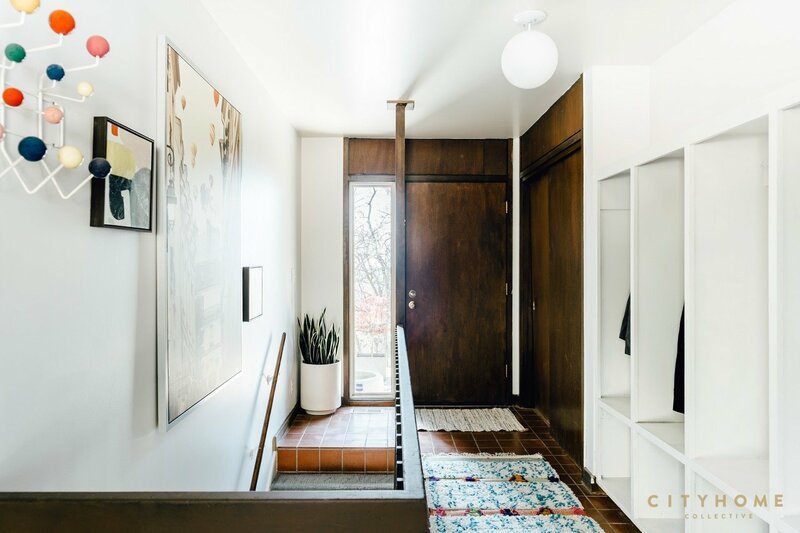 What are the advantages/struggles of living in a mid-century house? The struggle for us, has been the renovation. When you’re in the middle of it, may be hard to see the light at the end of the tunnel. It gets very daunting, you don’t have a working kitchen for two weeks at a time because the plumber needs to do some work. But I just reminded myself that I have a house and place to sleep and food to eat and then those problems become so unimportant. What do you think is special about your house? This house is special to us for so many reasons. My daughter took her first steps in the kitchen, and my son learned how to write his name at the table. 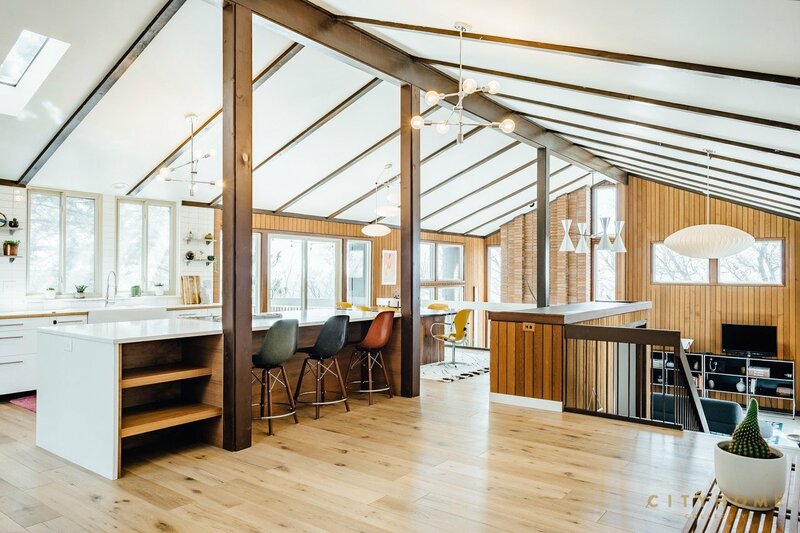 Personal memories aside, you can tell it was built with family needs in mind, care and attention to detail that you don’t find in current housing practices. Also, It is wonderfully integrated with nature, with large expansive glass windows, and unique design characteristics. The fact that it was designed specifically for the original owner it also makes it unique. This is a really hard question for me, I can’t pick just one! I love cooking in the kitchen we created, there’s a really great flow and it’s super easy to keep clean. I love the great room with all of the open windows – if you’re having a bad day, that’s the place to be to just relax. And then the courtyard is a great place to have a picnic and sunbathe. 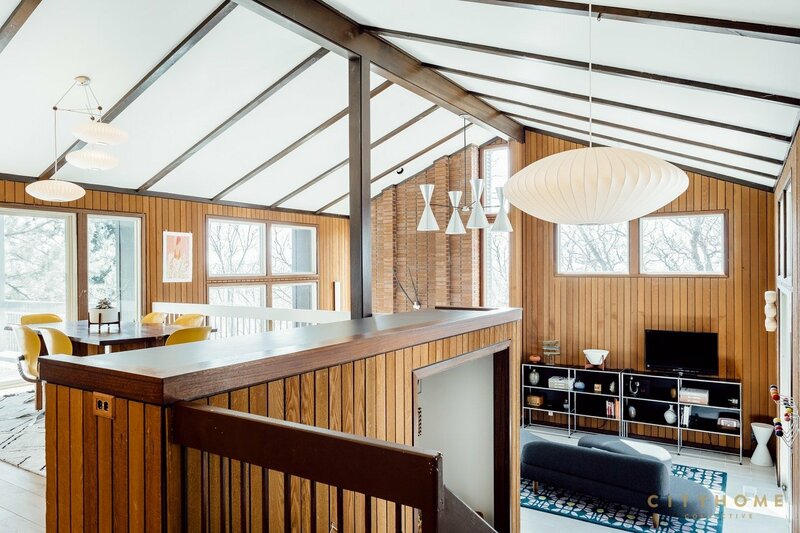 Last but not least, do you have any tips for people interested in buying a mid-century house today? What should they pay attention to? If you see a mid-century house that needs a bit of TLC and is for sale- I think it’s a great investment opportunity. 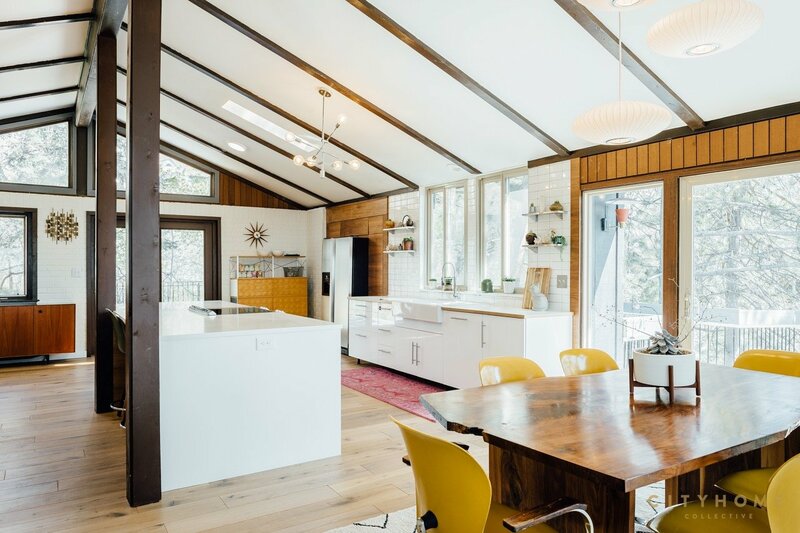 Look for a home that was built with quality materials: wood, steel, glass etc. 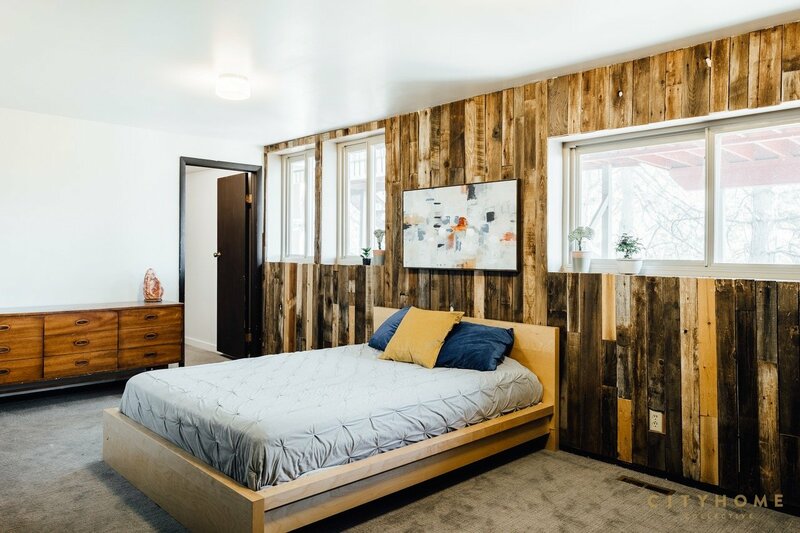 It may have had an unfortunate 90’s remodel, but if you have a good, strong structural foundation to work with it’s going to make the renovation much easier. For more info about the listing and sale enquires, click here.